If I knew what I knew today, I would have put my mother on Aricept and Namenda the day she was diagnosed. This is not a crazy idea. There is research to back up my belief. I'll start with this disclaimer: I am not a doctor, nor am I a scientist. Here are my credentials. I read and wrote thousands of articles on Alzheimer's and dementia in the last 10 years. So far, I have lived Alzheimer's from the front row for over 8 years; while caring for my mother, Dorothy, who suffers from Alzheimer's disease. I think about Alzheimer's every day, I live with Alzheimer's every day. Right here in Delray Beach, I watched as 22 people developed full blown Alzheimer's. You can add two cases of Parkinson's disease. 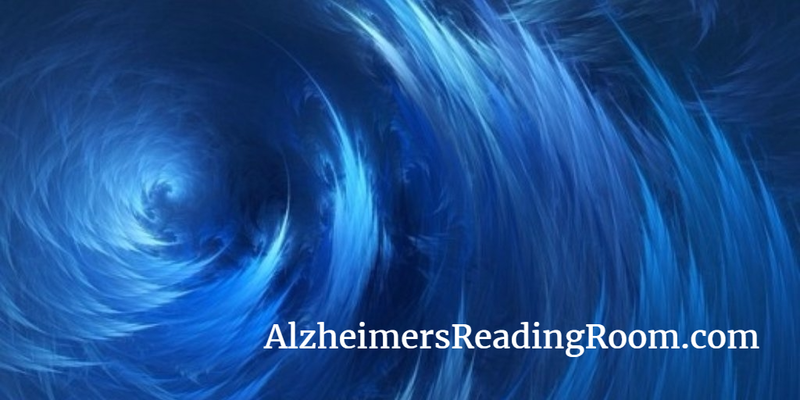 I see how it effects families and the persons suffering from Alzheimer's disease. Alzheimer's is everywhere. A Harris interactive poll indicated that more than 150 million American's have been touched by Alzheimer's. I am certain the number is growing and growing fast. Every 67 seconds someone is diagnosed with Alzheimer's disease. Recently, I estimated that 154 people are diagnosed with Alzheimer's while a typical New Yorker is commuting to and from work. Each week, 8,634 people are diagnosed with Alzheimer's. I find myself asking, why is Alzheimer's disease so hard to diagnosis and why can't doctors do it effectively. The numbers are not a secret in the medical community. When a person enters the earliest stage of dementia -- mild cognitive impairment -- friends and family are likely to conclude that it is just the result of getting old if the person is elderly. It is now my belief that when a person is cognitively impaired that it is the time to put the person on Aricept or one of the other cholinesterase inhibitors. I might even go a step further. Based on research I read, I might even recommend Aricept and Namenda in combination. Let me make this clear. If I knew what I knew today, I would have put my mother on Aricept and Namenda the day she was diagnosed. This is not a crazy idea. There is high quality research to back up my belief. Learn More about Combination Therapy - The Combination of Aricept and Namenda Helps Slow the Rate of Decline in Alzheimer's Patients. In the last month, five people have been referred to me. They told me they are starting to worry that they might be suffering from an early stage of dementia. In the past I might have been reluctant to say what I am going to say today. I will now say every time --get your memory tested. Not by your personal care physician. But by someone, or some group that specializes in memory testing. In my case, the first thing I would have done is call the Wellness Center at Florida Atlantic University. They do memory testing. If you are near a major University call and see if they have a wellness center, or a group that is doing research in the area of Aging. This is where I would go first. If this is not available I would seek the help and advice of a top notch geriatric care manager. If you know or are related to someone that knows a top notch neurologist, I would seek their help and get a memory test. Here is what I wouldn't do. I wouldn't wait around. I have seen people fall right off a cliff when suffering from an un-diagnosed dementia. Here is my special advice to spouses and children, if you suspect a memory problem and are worried -- take action now. You can sit back and wait and see what happens, but it could be too late when you finally get the feeling that you cannot wait any longer. Consider this, not only will you be hurting your loved one by failing to take action, you will be hurting yourself. The situation will worsen and you will suffer accordingly. If you are hoping that it is not dementia consider this -- consider what your quality of life if going to be like if you sit around and wait. If you fail to take action -- now. I have yet to meet an Alzheimer's caregiver that didn't admit that they should have or would have taken action sooner. That they would have taken action sooner if they knew. If they knew Alzheimer's was on the horizon, and if they knew what to do. Consider getting on the combination of Aricept and Namenda from day one. Also consider, there are new Alzheimer's drugs in the pipeline. You want to delay the progression of Alzheimer's as long as possible. These new drugs might make a difference.